Stan and Kyle. 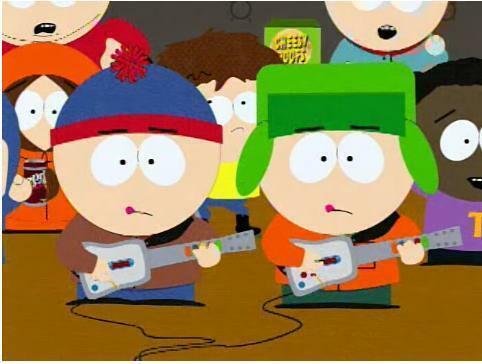 From the episode "Guitar Queer-O" with the boys competing with eachother.. Wallpaper and background images in the South Park club tagged: south park funny awesome guitar queer-o stan kyle weird. From the episode "Guitar Queer-O" with the boys competing with eachother.